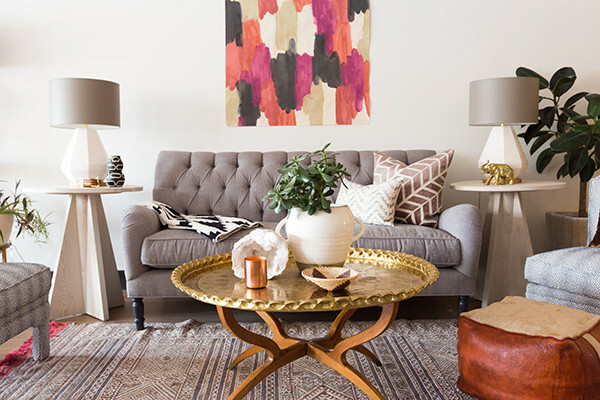 At Coveted Home, in Kansas City, Missouri, designer Jaclyn Joslin creates an inviting showroom filled with worldly treasures. 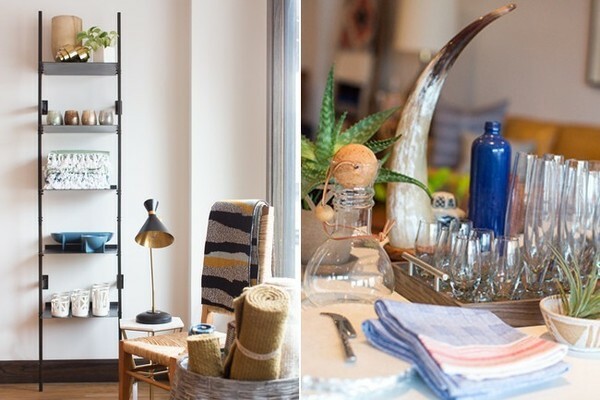 One look at the eclectic collection of pieces at the newest outpost of residential decor showroom Coveted Home, and you've a feeling you're not in Kansas (City) anymore. 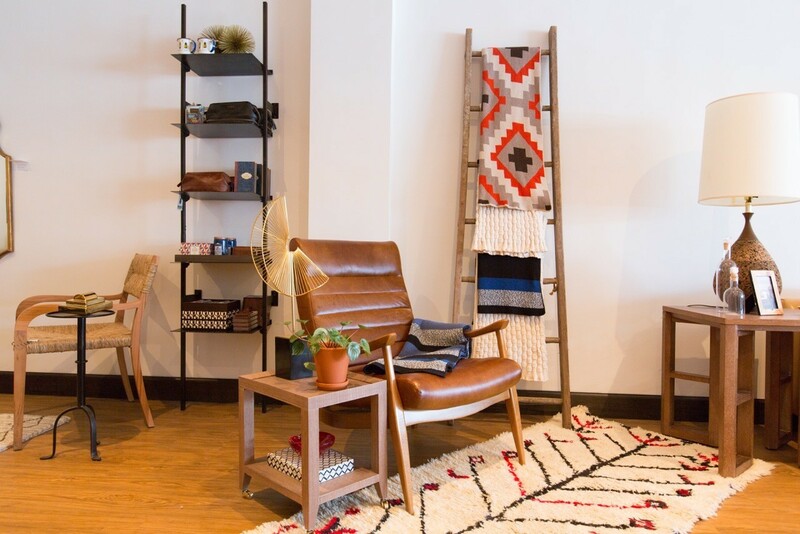 "There's a very heavy traditional slant here in town, but I don't like stuffy or highly manicured interiors," says shop founder, principal, and Missouri native Jaclyn Joslin, who earned her design degree in California before returning to her home state. "I wanted to offer something a little more modern and upbeat." 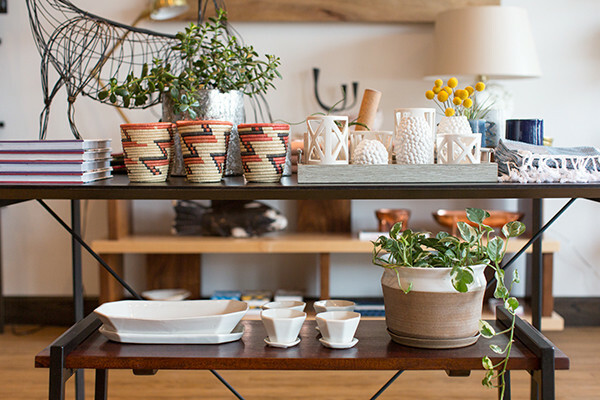 In keeping with that sentiment, Joslin has stocked the space with wares by independent labels and a lively mix of small-business owners, from delicate ivory-glazed planters by local ceramics brand Convivial Production and fair-trade linens sourced from Mexico and Africa to geometric brass bottle openers by Brooklyn darlings Fort Standard. She also carries works by Kansas City artists, handcrafted Moroccan leather poufs, and jewelry items by Portland, Oregon's Tiro Tiro. In the back of the store, Porter Teleo's Refracted wallpaper serves as a striking background for vignettes filled with furnishings by the likes of Arteriors, DwellStudio, and Barbara Cosgrove. "I want people to feel comfortable and relaxed in the shop, and see what these pieces could look like in their own homes," says Joslin. 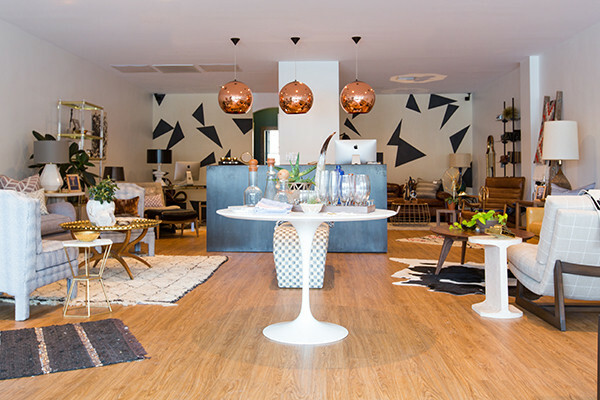 When she's not greeting people from behind the sleek brushed-metal counter, Joslin helps clients define their style and create livable spaces through her interior design firm of the same name. Not in Kansas City yourself? Follow Joslin's work and weekly musings on the shop's blog. As a special gift to Lonny fans, Coveted Home is giving away a Dwell Studio Hans chair (pictured below) to one lucky reader! For a chance to win, just comment on our Instagram post here, and follow Coveted Home on Pinterest and Instagram (you must be following on both sites to be eligible to win). We'll select a random winner on February 29 and one Lonny reader will have a stylish new seat. Easy, right?